We are very pleased to announce Jess Redden as a new contributor to the McCauley Blog. Jess is a fitness enthusiast currently studying to be a Pharmacist. Jess will use this space to chat about ways to help you live well and healthily, with a dash of beauty thrown in too! Every January is the same, you pledge to stay off the booze forever, run 20 miles a day, cut out sugar and promise to stop being so grumpy and impatient with people. But how long do our resolutions ever last for? Making big, drastic changes to our lifestyle inevitably sets us up for failure. I do think January is a great time to pick up new habits and drop some of our less desirable ones, but overhauling your entire way of living and being is not the way to go! I’ve compiled a short list of 5 small changes that I would like to make in the New Year and even though it may take longer to ‘see results’. I am far more likely to stick with the smaller changes thereby making them last much longer than running 20K a day for 3 days!! If you, like me, want to make a few healthy changes and become the best version of yourself why not join me in one or two or even all of my 5 steps! If you’re not a member of a gym you may often find yourself making excuses not to exercise, but don’t fall into that trap! Before or after work or even during your lunch break, dedicate just 10 minutes to a nice walk listening to your favourite music or podcast. My gran was a fountain of knowledge, she had the most extensive vocabulary and I always wanted to be like her. She attributed this to reading, so this year I want to become a total bookworm and improve my vocab. I find reading a great way to de-stress and to fall asleep after a busy day. Whether you get in an argument with your friend, family member or partner, get better at apologizing and stop playing the blame game. Do what you can to reconcile the conflict, life is far too short to hold grudges and to be anything less than happy. Being able to say you’re sorry and to mean it makes it easier to get back to a positive mood. A positive mind is so important not just for our mental health, but for our physical health too! We get so hung up about our failures and misfortunes day-to-day that we forget to pat ourselves on the back for all our achievements. Talking out loud about our accomplishments helps us to remember our true potential and the impact we are having on the world around us. 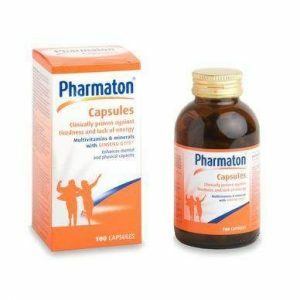 Pharmaton capsules: Use: To improve energy and relieve fatigue. * Pharmaton capsules are clinically proven to relieve fatigue and restore vitality. They contain Ginseng G115 which provides us with an immediate release of energy. In addition, they improve concentration levels in fatigued people. Pharmaton contains a unique blend of vitamins and minerals essential for energy production and metabolism such as vitamin B6 and Lecithin, which is used for treating memory disorders such as dementia and Alzheimer’s disease. 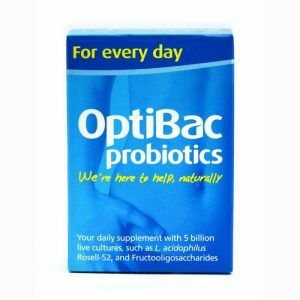 Optibac everyday: Use – Probiotic. * I first started using Optibac about 2 years ago primarily to rebalance and restore my digestion as I was suffering from a sluggish gut and lazy bowel, but the benefits I noticed from taking a probiotic daily had a much further reach than just my gut health. My hair was looking healthier, I was physically feeling better and my skin started clearing up as well. Our microbiome comprises all the ‘good’ bacteria in our gut, which are responsible for digesting our food, producing certain vitamins, regulating our immune systems and keeping us healthy. Disease often results when there is an imbalance in our ‘good’ bacteria, thus letting the ‘bad’ bacteria thrive, leading to disease. I could go on and on about the benefits and importance of our microbiome, but I will keep it short and sweet by saying our microbiome plays a pivotal role in our overall health and probiotics are a great way to keep our good bacteria in check. So, they are my 5 steps to living well this New Year, I hope you find them useful here’s to a year of being the best versions of ourselves! What steps are you taking to live well this year? I’d love to know in the comments below! 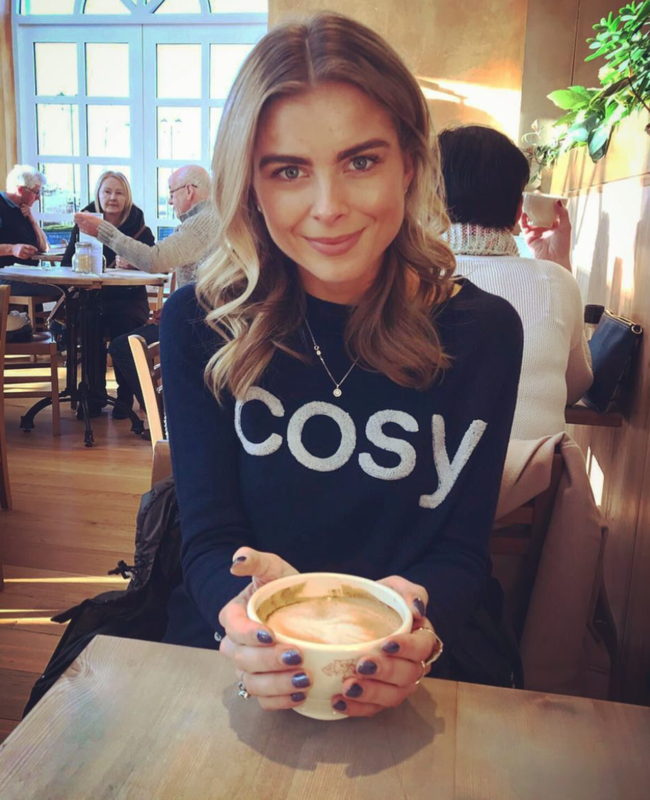 Follow Jess Redden on Instagram for more tips for a healthier you.